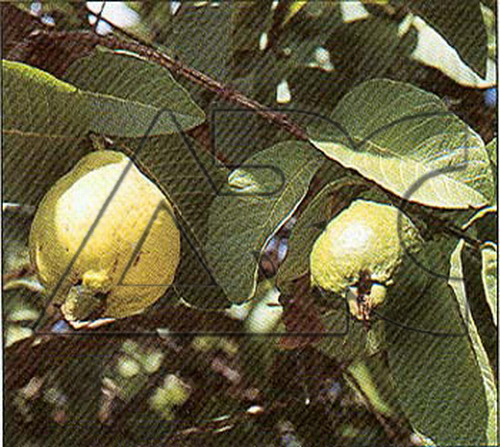 The Psidium genus has several species commonly known as guava. Guava is a evergreen to semi-evergreen tropical, edible fruit used in jams, jellies, juices. Once Psidium is established, it does quite well with very little water. The leaves of Psidium are glossy green and about 3 inches long. Fruit is red to black, when ripe, and has a mild, but tart taste.